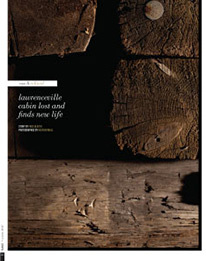 New blog post and Table Magazine article about a log cabin from 1823 and how it was given new life as a Robert Brandegee Designs table. 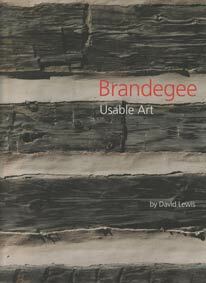 Just published is a monograph titled Brandegee Useable Art. Written by David Lewis, it is illustrated by color photos of my furniture in room settings. Lewis is the pioneer in the increasingly important architectural field of urban redesign and redevelopment. He’s written extensively on the arts, including the first biography of Constantin Brancusi, at Brancusi’s request. Just acquired: three planks 3” thick by 48”, 49” and 52” wide by 12" feet long. 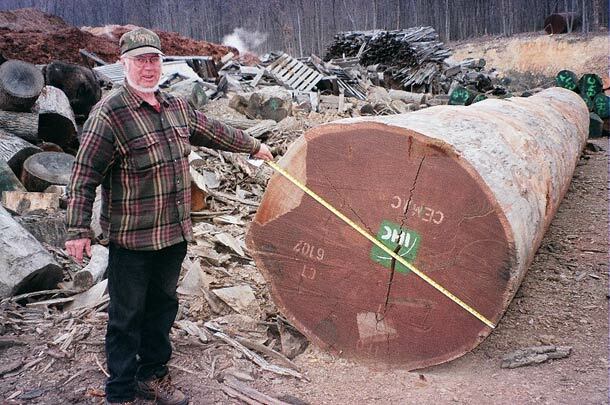 These beautiful slabs are African sapele wood and are just waiting to become spectacular conference or dining tables. They can of course be shortened and/or thinned. Call if you’re interested. On the breeze-swept porch of a country home fashioned from two restored log houses, Rob Brandegee sketches quickly on a sunny July morning.